I’m on a roll! I just finished my third illustrated quote in three days. Do you recognize this one? 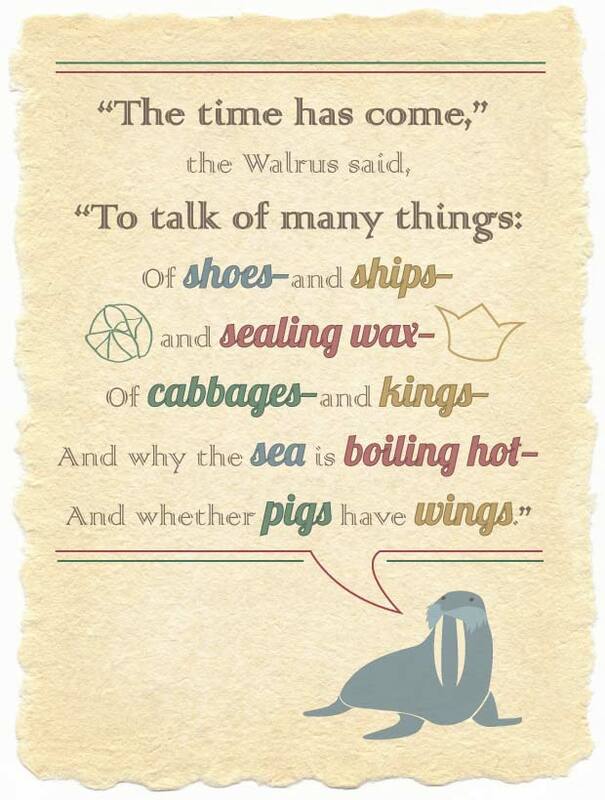 It’s from Alice in Wonderland, when Tweedle Dee and Tweedle Dum tell the story of the Walrus and the Carpenter. Although I can’t read it without automatically hearing the music from the song in the Disney version.